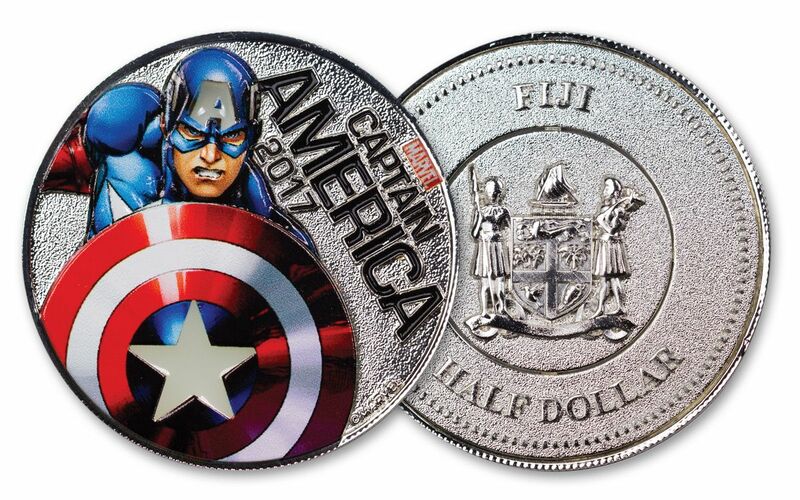 What could be better than a colorized superhero on a coin? How about three that light up! 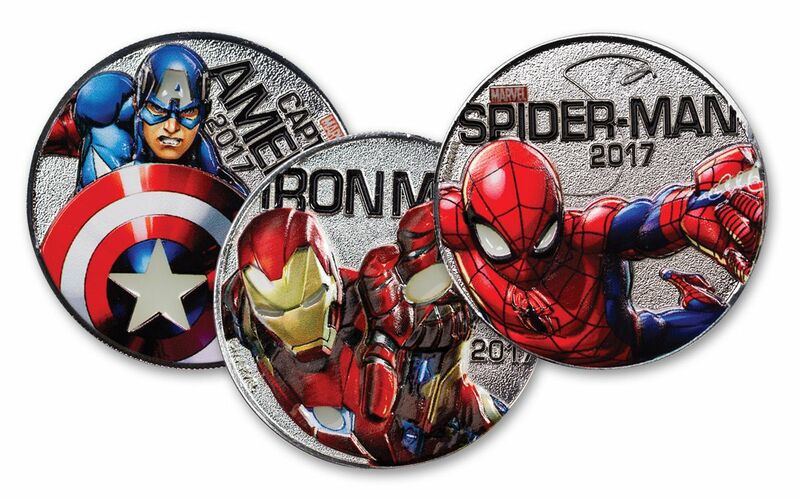 Minted with a massive 50 mm diameter, these silver-plated coins feature the Amazing Spider-Man, Tony Stark, A.K.A. the Invincible Iron Man, and the Sentinel of Liberty- Captain American! This is the first time ever that legal-tender coins have been issued with a light-up feature. Spectacular Silver Plating-- Plated in pure silver, these coins have a magnifienct shine. 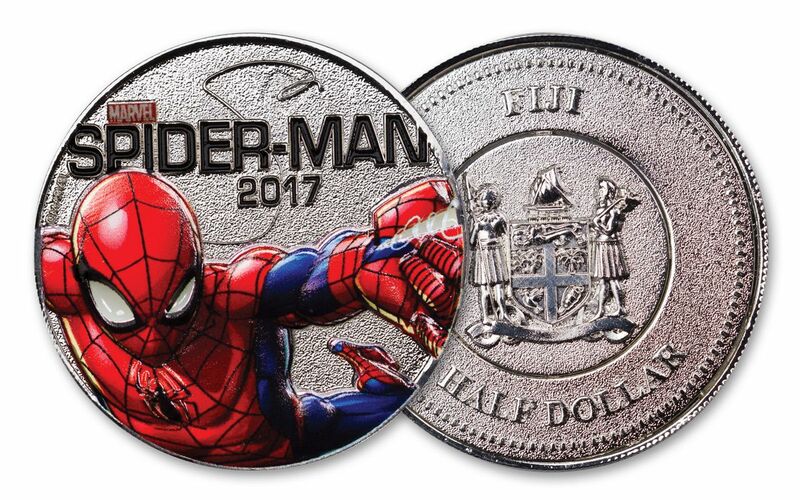 Fiji Legal Tender-- Each 2017 Marvel Light-Up coin is 50 cents legal tender on the island nation of Fiji. 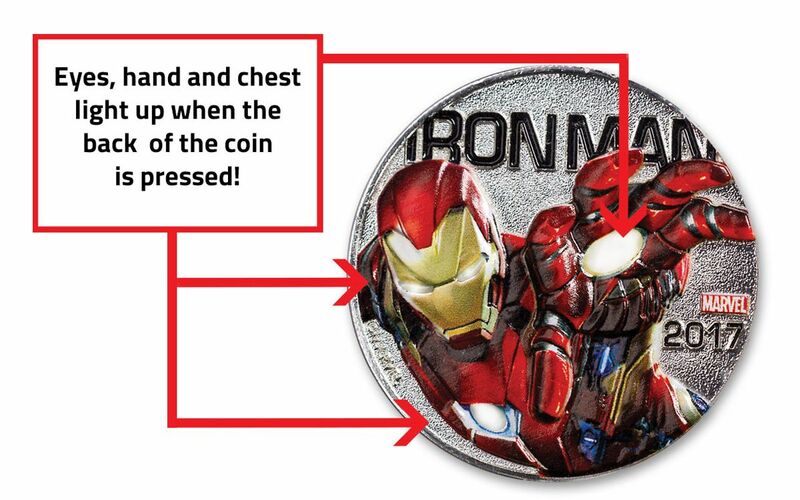 Specimen-- Your coins will arrive in Specimen condition, shining as brightly as if they were minted yesterday! 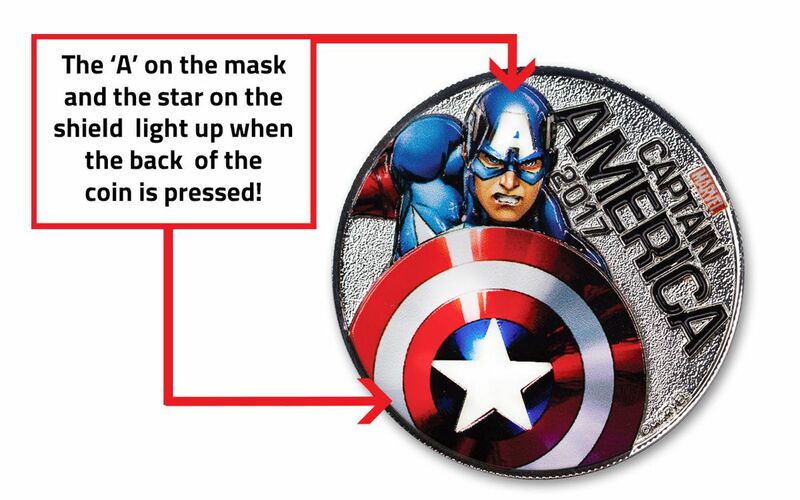 Official Marvel Merchandise -- Always the responsible heroes. 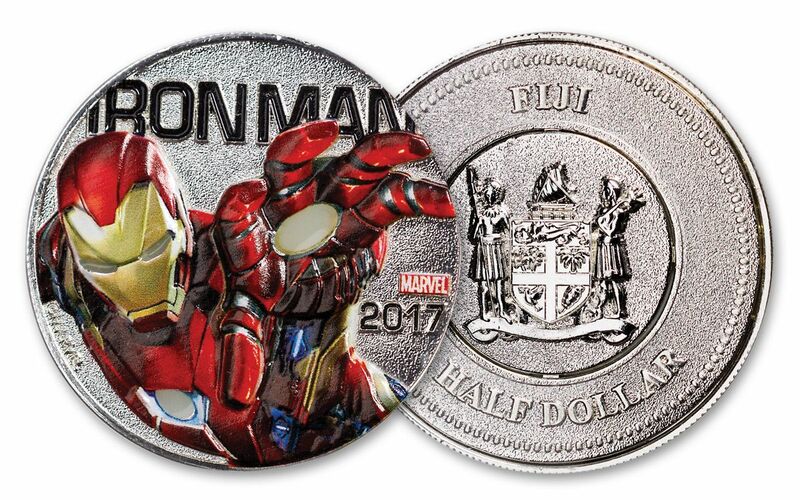 this set comes officially licensed and approved by Marvel, with the mighty Marvel logo struck right into the coins' reverse! 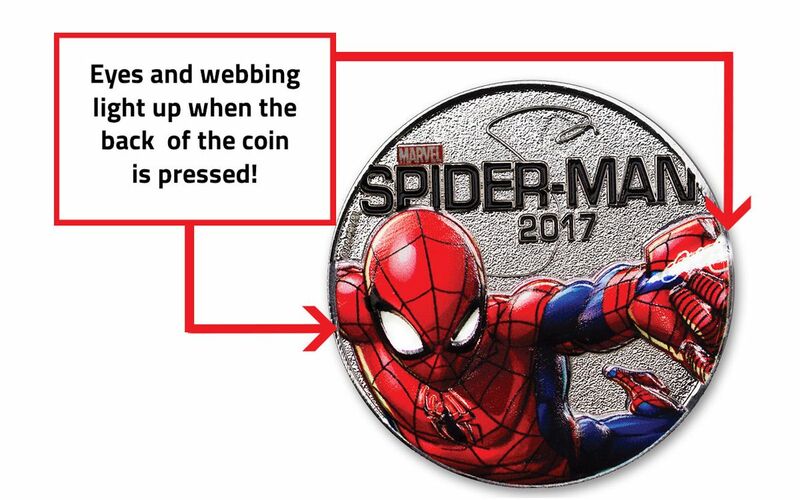 This is not just any collectible. 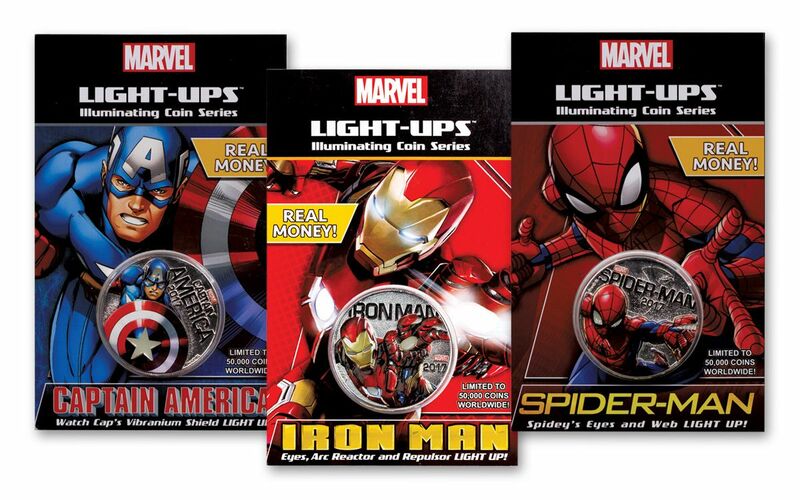 These light up coins are real money plated in real silver, and it’s one of the first of its kind in the entire world!